Ready for the Christmas celebrations? 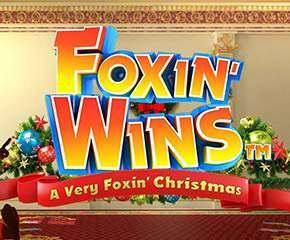 Here is the perfect slot game to do that- Foxin’ Wins – A Very Foxin’ Christmas. It is 5 reels and 25 payline slot that is the part of the Foxin’ Wins series and revolves around the Mr Fox. The symbols and the slot have been designed beautifully, and the background music makes playing this slot game even more interesting. NextGen Gaming is behind the designing and development of the Foxin’ Wins- A Very Foxin’ Christmas. NextGen is one of the biggest names in the online casino games industry, and this slot game is sure to be a hit. Foxin’ Wins – A Very Foxin’ Christmas slots is set against the drawing room of Mr Fox’s home that has been decorated beautifully with all the Christmas lights and the Christmas tree. The symbols are also a perfect fit for the theme of the slot game. The higher value symbols are the Christmas tree, rolls of cash, a snow globe, and sports car. The smaller value symbols include 10, J, Q, K and A. The players can easily adjust the size of the bet before starting to play the slot game. However, the paylines are fixed. The bet size can be anywhere between 25p and £625 per spin. 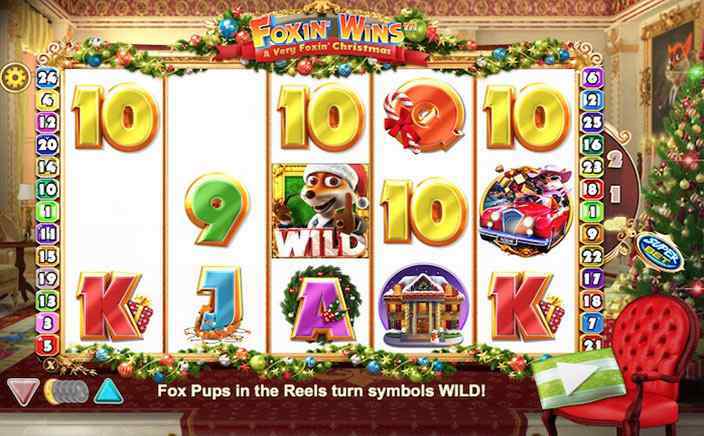 There are some special symbols like wild and scatter in Foxin’ Wins – A Very Foxin’ Christmas slots. The wild symbol is Foxin’ himself wearing the Santa’s hat. It can be used to replace all the symbols on the reels to make winning combinations except for the scatter symbol. It is also the highest paying symbols on the reels giving 2,500 coins if five lands on the same payline. The scatter is the pot of gold symbol which is responsible for the activation of the slot’s special feature. If the player lands 3, 4 or 5 of the pot of golds, they will be rewarded with 5x, 15x or 100x multipliers on the winnings. In addition to this, 10 free spins will be rewarded. The winnings made throughout the free spins feature is doubled, and the feature can be re-triggered by landing three scatters on the reels. If this was not enough, there is also a random bonus feature that rewards the player with instant cash wins. Additionally, there is a Superbet Mode which increases the chances of the player to win at this slot game to a great extent. Foxin’ Wins – A Very Foxin’ Christmas slots is the perfect game to play this Christmas since it brings lots and lots of prizes and special features. The festive theme and the background music are sure to put the players in a great mood.